Rain and melting snow could cause some real headaches for area farmers. 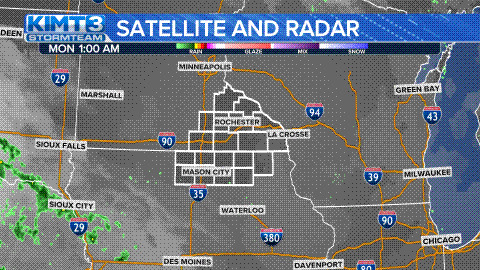 ROCHESTER, Minn. – Flooding concerns has Olmsted County under an official flood watch from the National Weather Service. Also watching the forecast? Farmers. “I'm just praying for some warmer weather,” Eric Walker, a corn farmer in North Rochester, said. He said if flooding does happen, all he can do is wait for the water to go away, which could delay planting season. He’s also waiting for the ground to thaw out, and melting snow isn’t helping. This can have a financial toll. Walker said he spends about $550 per acre in his 1500-acre farm. With some unsure weather this week, he has over $800,000 on the line. If planting season is delayed long enough, Walker may have to switch from corn to a completely different crop to still make some profit.